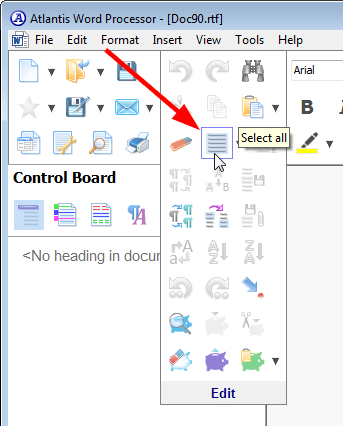 You can quickly select a line of text if you aim at it from the left margin with the mouse pointer, and click. 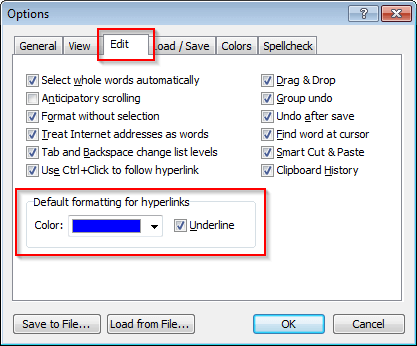 Hyperlinks in documents are normally formatted differently from regular text. 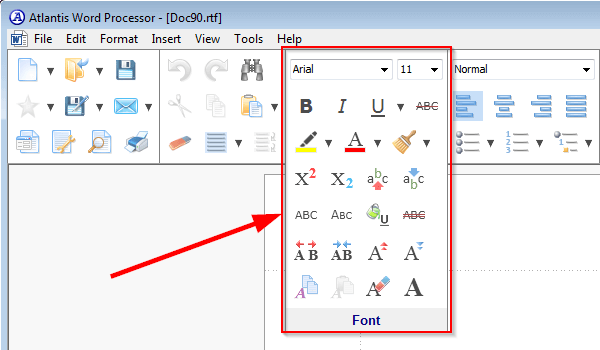 They are often displayed in blue color with underline. 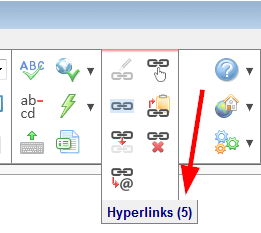 But you can format hyperlinks in any other way. 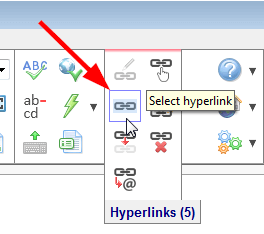 To change the formatting of hyperlinks in a single fragment alone, select the fragment of document first. 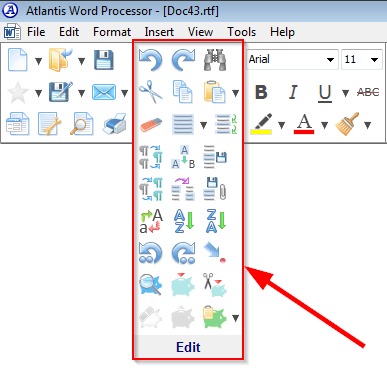 The default formatting for hyperlinks is used by Atlantis when you create new hyperlinks in documents.